More than 40 pianists from the following 17 countries/regions (by nationality) were qualified for the live rounds of the Competition: Argentina, Armenia, Australia, Canada, China, Finland, France, Hong Kong, Italy, Mexico, the Netherlands, Korea, Russia, Slovenia, Taiwan, Turkey, USA. 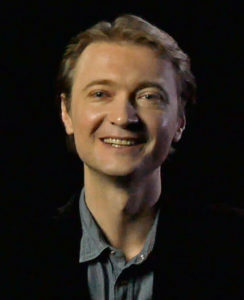 Praised for “artistic sophistication far above the ordinary” (Frankfurter Allgemeine Zeitung) and “understanding of the music far beyond most young pianists” (American Record Guide), Ukranian-Canadian pianist and composer Dmitri Levkovich continues to captivate audiences across the globe. He has played on stages around the worlding including at Carnegie Hall, Theatre des Champs Elysees, the Great Hall of Moscow Conservatory, Warsaw Philharmonic Hall; and has collaborated with conductors Valery Gergiev, Jahja Ling, George Pehlivanian, Vladimir Spivakov. He has performed with orchestras including the Cleveland Orchestra, China National, Dresdner Philarmonie, and many of his performances have been broadcast on television and radio stations. Between 2005 and 2013, Mr. Levkovich won 17 top prizes at competitions including the China International Piano Competition, Cleveland, Jose Iturbi, Gina Bachauer International Artists, and Lisbon’s prestigious Vendôme Prize. On numerous occasions, he was singled out with an Audience Favorite Prizes and Prizes for the Best Interpretation of Chopin’s music. The victory at 2013 International German Piano Award led to performances at the Grand Hall and Chamber Music Hall of Berliner Philharmonie, Grand Hall of Alte Oper (Frankfurt), Qatar, Tbilisi, Fazioli Concert Hall in Sacile, Shanghai’s Oriental Arts Center, as well as a critically acclaimed CD release of Rachmaninoff’s 24 Preludes on “Piano Classics” label. After introduction to music by way of the accordion at a young age, Evgeny Starodubtsev studied piano and composition at the Moscow State Conservatory’s Central Music School before entering the Conservatory and continuing piano studies with Natalia Troull. Winner of the 2008 Parnassos International Piano Competition in Monterrey, Mexico, Mr. Starodubstev has performed in Germany, Hungary, Poland, Russia and Spain as soloist and recitalist. He has taken 1st prize for Spanish music at the Compositores de Espa’a in Madrid, and the Cidade do Porto and Ciudad de Ferrol in Spain. 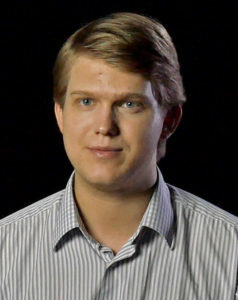 He also took 1st prize and 2 special prizes for best performance of Chopin compositions in the First International Baltic Piano Competition in Poland in 2007, and went on to take top prizes in competitions around the world, including the International Ciurlionis Piano Competition in Vilnius and the Top of the World in Tromsø. 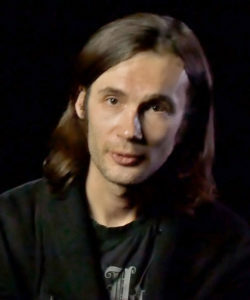 Mr. Starodubtsev is also a composer. His compositions include many chamber works for varied instruments, including woodwinds, strings, and harp. Oleg Khudyakov was born in the city of Sarov in Russia and began to study music at age 6. In 2008 he entered the Central Music School at the Moscow Conservatory and studied under professor V. Piasecki. Since 2003, Mr. Khudyakov has been winning prizes international competitions, including the International Competition S. Rachmaninov in Bonn, Germany; International Competition “Russian Seasons” in Yekaterinburg; International Festival of the “New Names;” and many more. He has taken part in concerts at the Moscow Conservatory, the Moscow International House of Music, and the International Charitable Fund of Vladimir Spivakov, and toured cities including those in Russia, Italy, France, Germany, Belgium, and Romania. Hrant Bagrazyan was born in 1985 in Yerevan, Armenia, and started playing piano at age 6. 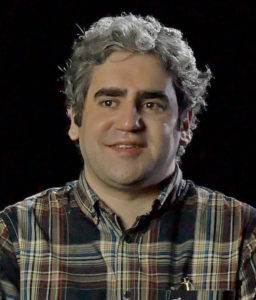 In 1991 Hrant entered Tchaikovsky Music School where he studied until 2002, when he entered the Yerevan State Conservatory and graduated from there in May 2007. He was accepted into the Cleveland Institute of Music to study piano under Sergei Babayan in 2009. Mr. Bagrazyan won prizes in both local Armenian and international competitions, including 3rd prize at Aram Khachaturian Competition in 2007 and 1st prize at the KVSO Young Artist Piano Concerto Competition and San Jose International Piano Competition. He has performed concerts in Armenia, Belgium, Poland, and the United States. Elizaveta Ivanova was born in Moscow, to a musical family, and began to study piano at age 4. She studied at the Moscow State Tchaikovsky Conservatory under professor Sergey Dorensky before graduating with honors and continuing her studies at the Hochschule für Musik und Theater Hamburg and currently studies with professor E. Koroliov and works as an associate professor. Ms. Ivanova’s extensive touring worldwide began in 2002, and she has performed all over the world, including in Austria, Australia, Bulgaria, Canada, Germany, France, Ireland, Italy, Japan, Poland, Spain, Sweden, Thailand, United Kingdom, and so on. She has won prizes at numerous international competitions including the Clavicologne International Piano Competition, Euregio Piano Award, Verona International Piano Competition. She participated in master classes with many famous musicians, such as Fou T’song, Dmirty Bashkirov, Sergey Babayan, Emmanuel Ax, Andrea Bonatta, and others. Daniel Parker’s “enviable keyboard virtuosity” has been praised as “ravishing” by the Boston Musical Intelligencer. Mr. Parker received a Bachelor of Science in Music from MIT in 2016 and is pursuing a Master of Music at The Juilliard School under the tutelage of Jerome Lowenthal. Largely self-taught in the classical style until high school, his past teachers include Margaret Reitz, Robert Satterlee (Interlochen Arts Camp, 2008), Anton Nel (Aspen Music Festival and School, 2015), and David Deveau. At MIT he studied with Sergey Schepkin, supported by the MIT Music Department’s Emerson Fellowship. Recently, he performed at PianoFest in the Hamptons under the direction of Paul Schenly. Jiaqi Long is a talented pianist. He was born in 1996 in Liuzhou, Guangxi province, China. After winning numerous competitions in his home country of China, Long moved to Colorado in 2013. 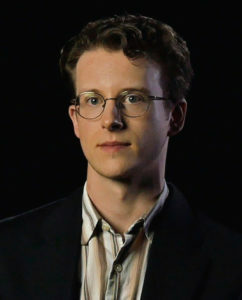 He was a winner of the Colorado Yamaha Piano Competition, a two-time winner of the Steinway Concerto Competition, and has appeared with the Colorado Symphony. In 2015, he won the 3rd Prize at the 2nd annual Emilio del Rosario international piano concerto competition Long was a finalist of the 2016 New York International Piano Competition. Long is currently pursuing his Bachelors and Masters of Music degrees at The Juilliard School. With his recent performances in Chicago, New York, Finland and China, Long shares his love for life and music with his audience through his passionate, multi-perspective, and modern renditions of numerous masterpieces. Chinese-born pianist Weiyan Li’s repertoire ranges from early music on period keyboard instruments to premieres of works by living composers, from chamber music to concertos. After receiving her first musical instruction from her father, she began her performing career at age 5. Since then, she has won prizes at the KAWAI Asia Piano Competition at Hong Kong and various youth competitions, and her career has brought her to the Shanghai Symphonic Music Hall, the Chinese Theatre Hall in Chongqing, other venues in Beijing, Sichuan, and Hangzhou, and finally, the United States. Ms. Li is currently a doctoral student of Piano Performance under Dr. José Ramón Méndez at the Pennsylvania State University, where she has performed in the Graduate Recognition Recital and won Honorable Mention in the Young Artist division of the 2015 PMTA/MTNA Performance Competitions. Ms. Li also holds degrees in Piano Performance from Shanghai Conservatory of Music (B.Mus. under major teacher Youzhe Lou, 2012) and Ithaca College (Master of Musical Arts under major teachers Charis Dimaras, 2014). Her other major teachers have included Malcom Bilson (fortepiano); she has also received instruction from Richard Goode, Ilya Itin, Phiroze Mehta and Dmitri Novgorodsky. Notable accomplishments include being named the first Chinese winner of the Symphony Orchestra Concerto Competition at Ithaca College and the first Chinese performer to win this competition in two consecutive years, earning her opportunities to perform the Ravel Piano Concerto in G Major and Mendelssohn Piano Concerto in G Minor, as well as scholarships earned for her performances at the Shanghai Conservatory.